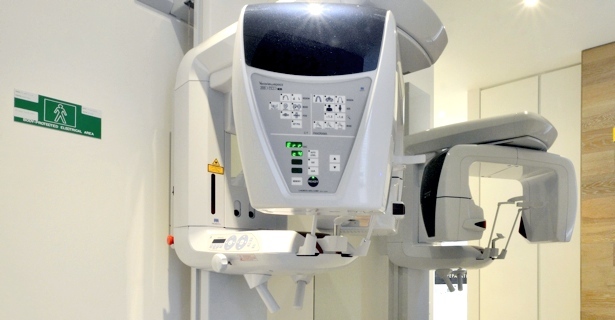 Advanced technology using high resolution Cone Beam CT. In appropriately selected cases, incredible additional information can be gained with 3D imaging, providing valuable details for diagnosis and treatment planning. With this service available in-house, there are significant benefits for patients in time, cost and convenience. LEFT: Conventional radiograph of tooth 17. The thick cheek bone limits visibility of infection and pathology, so there are minimal signs of periapical bone loss. RIGHT: Cone Beam CT images of the same tooth reveal dramatic extent of bone loss. The Cone Beam CT scan provides critical information for comprehensive diagnosis. LEFT: Conventional radiograph of tooth 11. There are symptoms, yet no evident periapical bone loss. Radio-opaque material is present at the apical third of tooth root. 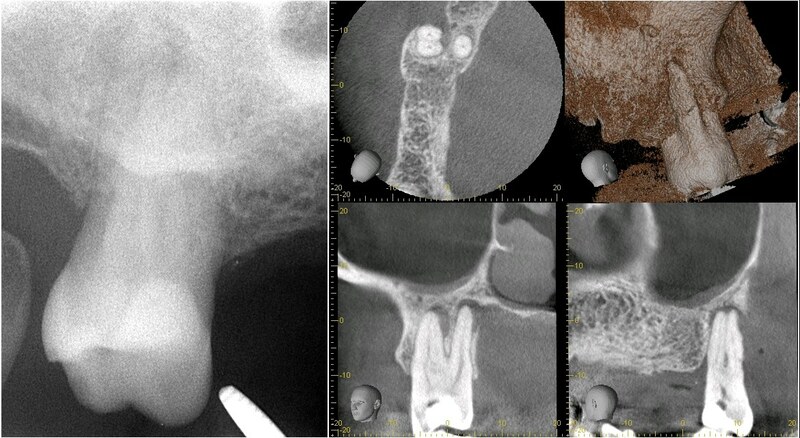 RIGHT: Cone Beam CT images clearly show periapical bone loss. 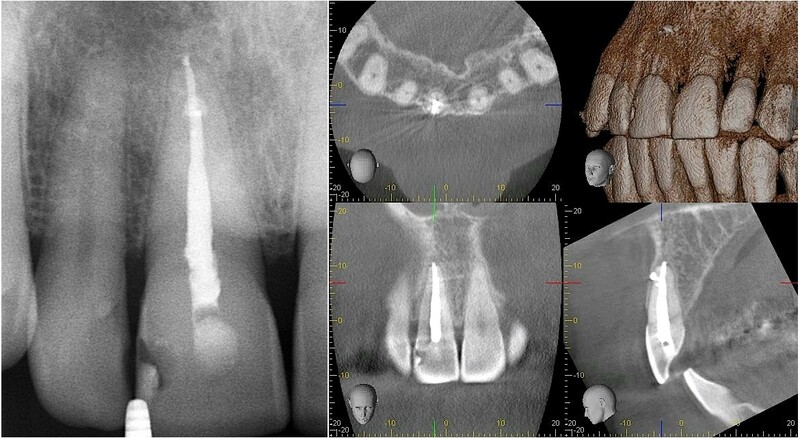 Radio-opacity at apical third is root filling material extruded through lateral canal and the labial bone plate.